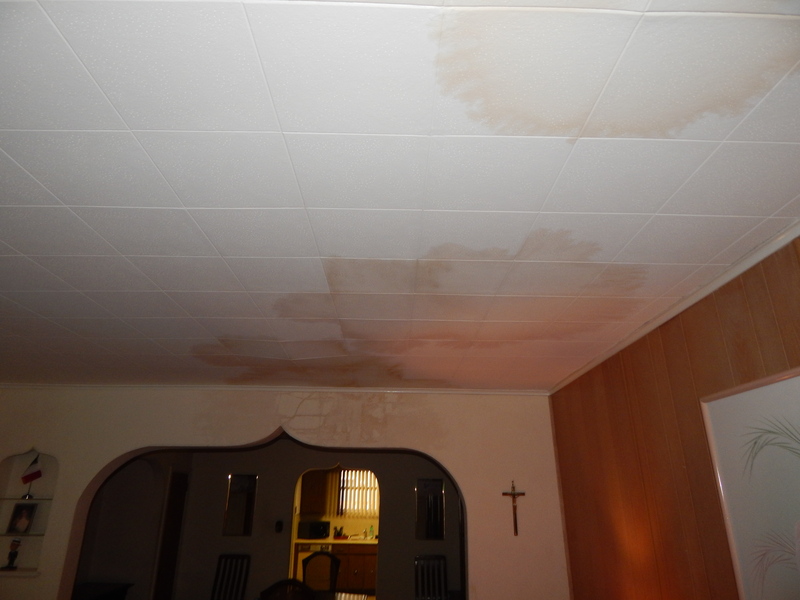 In our last part of our Plumbing Issues Series, we’ve included a photo showing water damage to a living room ceiling due to leaky pipes under a sink. The customer placed a bucket and a couple of rags to catch the slow drip from the water line under the bathroom sink. When he wasn’t home, the pipe opened up and flooded the ceiling. This caused ceiling, wall and carpet loss, all because the repairs weren’t made in a timely fashion. In conclusion, when you have identified a leak in your plumbing, call a professional if you aren’t capable of fixing it properly. Otherwise, this can happen to you.